An interesting cliche one faces when moving anywhere northeast of Virginia, Illinois, and West Virginia is the obligatory conversation of, “you guys are sorta racist down there, right?” Coming from Kentucky one might feel that this is “fair enough” given our state’s historical involvement in the slave trade, constant struggle with school desegregation, and repeated incidents at Fourth Street Live. But what’s the bigger picture in all of this? Recently, and with what seems like a parallel momentum to the Peoples Climate March, various news sources have been exploring the link between communities of color in the United States and climate change. Sixty-eight percent of African-Americans live within thirty miles of a coal-fired power plant, the zone of maximum exposure to pollutants that cause an array of ailments, from heart disease to birth defects. Communities of color breathe in nearly 40 percent more polluted air than whites. African-American children are three times as likely to suffer an asthma attack. Nationally, projects with the magnitude of Rebuild by Design, a response to Hurricane Sandy on the East coast, are attempting to affect real change toward building more resilient cities. Funded by the U.S. Department of Housing and Urban Development (HUD), Rebuild by Design brought top architects from across the world to New York and New Jersey to address some of the significant difficulties faced by coastal cities in an era of rising sea levels and severe weather brought about by climate change. The program recently awarded six design teams the chance to address these significant issues. The Hunts Point Lifelines project is attempting to design and construct a “Levee Lab,” Maritime emergency supply lines, and other infrastructure, in the poorest U.S. congressional district (see video below). More locally in Louisville, a tree tracking app is hoping to assist in a rebuild of the urban tree canopy in the fastest warming city in the United States. Brian Stone of the Urban Climate Lab at Georgia Tech recently commented that, “The tree canopy downtown is one of the sparsest of any city I have seen in the country.” As a response, Louisville has developed an app that asks residents to map the current tree canopy in the metro area, and to suggest places where cover is needed. Even as opportunities present themselves in the form of movement building, urban design interventions, and new technologies that begin to steer our cities toward more sustainable living, it’s important to make sure we have a clear picture of what kinds of issues are already in place. A hurricane is one type of disaster that we can’t necessarily predict, but there are more obvious—and predictable—environmental time bombs waiting in our cities. Similarly, Louisvillians know by now that Louisville Gas & Electric (LG&E) has faced multiple fines and a recent lawsuit due to its improper treatment, storage, and illegal dumping of burned-off coal matter known as fly ash. While that lawsuit is still pending, LG&E’s previous nine violations and subsequent fines do not paint a positive picture of the company’s environmental record. 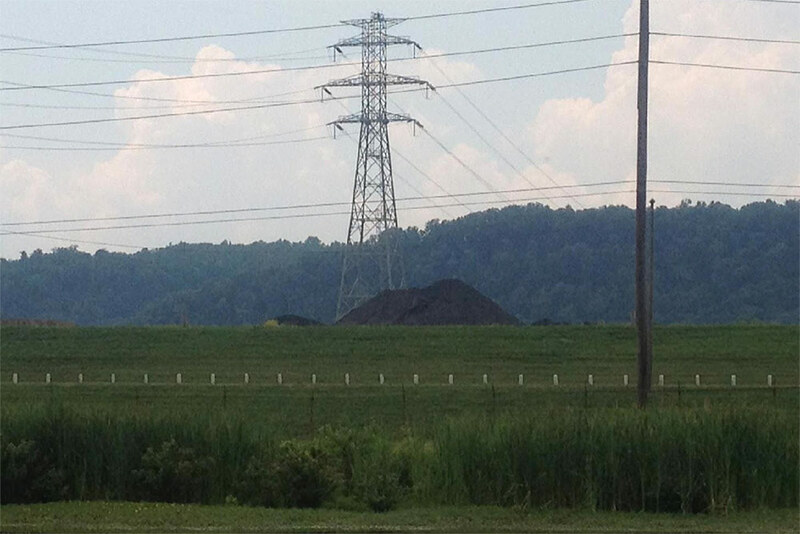 Even more unfortunate, LG&E’s fly ash sites are located in close proximity to two residential communities: the Mill Creek Station in Southwestern Jefferson County and the Cane Run Plant in the Pleasure Ridge Park neighborhood, putting thousands of Louisville residents at risk of environmental hazards. In the end, what we know for certain, is that chemicals are being leaked regularly, many of the corporations seem to have little or no trouble paying the fines, and in the end its up to the residents to prove negligence. Residents have complained about the poor air quality in the West End due to chemical plants and coal ash dumps since as early as 1949, and reports show that higher rates of cancer do occur in the area although it has been difficult to directly link those rates to pollution. Data from the Kentucky Cancer Registry. Chart by Erica Peterson / WFPL. What the guilt-ridden southerners of Louisville might not have known is that this problem is pervasive in the north as well. In his groundbreaking work, New York for Sale, Professor Tom Angotti of Hunter College exposed a similar pattern of targeted placement of environmentally damaging technologies and industries into areas where low income people and people of color already reside or have been pushed to due to low-cost rents and available housing. Angotti’s work documents the trials, tribulations, and ultimately, the success of many of New York’s environmental justice organizations. Three of his examples serve as not only good research but hopefully as examples of how to organize—and fight—battles of environmental racism and classism in Louisville. The waning of wholesale neighborhood abandonment and displacement in the early 1980s. The lack of will to develop some neighborhoods due to the presence of significant environmental hazards. Desire to locate and develop new waste facilities in areas with low land cost, and what was assumed, even lower community cohesion or civic participation. Angotti goes on at length about how this final assumption was the most erroneous. In both New York and Louisville, environmental justice advocates and activists quickly distinguished themselves from traditional “capital-E environmentalists” concerned mostly with issues of the preservation of “nature,” which they spoke of as a place they would like to some day visit. These environmental groups were less concerned with neighborhoods or communities—the active, lived-in spaces of the city—where issues of asthma and environmental degradation were also present, but less visible to city decision makers. In 1988, the West Harlem Environmental Action (WE ACT) group was founded by three Harlem community activists, Vernice Miller, Peggy Shepard, and Chuck Sutton. This group of active community members forced the city of New York to construct Riverbank State Park, one of only two state owned and operated in New York City, and the only one in Manhattan. This intervention came out of a struggle with the North River sewage-treatment plant, one of fourteen facilities that the city was forced to build while seeking compliance with the federal Clean Water Act. This park was part of a community based planning project initiated by WE ACT, and built after the city settled in court for a $1.1 million dollar fund to address community concerns around possible asthma rate increases due to the waste treatment facility. In the 1990s, the South Bronx Clean Air Coalition fought and defeated the Bronx Lebanon Medical Waste Incinerator. This incinerator, built by Browning Ferris Industries could burn forty-eight tons of regional medical waste a day. Situated in a low income neighborhood, this incinerator constantly discharged toxic air onto Bronx residents. After an intensive community protest campaign, Governor George Pataki used the $15 million tax-free industrial development bonds, and tax exemptions given to Browning Ferris to leverage the closure of the facility. This win could not have occurred without South Bronx Clean Air Coalitions continued pressure on the governor. Finally, in an overwhelmingly epic show of force, a mixed group of Puerto Rican, Hasidic, and other community members marched across the Williamsburg bridge in an effort to stop the construction of an incinerator that would affect the Williamsburg/Greenpoint areas. These very different and historically at-odds communities were brought together by the Community Alliance for the Environment (CAFE), El Puente Academy, and led by Luis Garden Acosta, a former Young Lord. Broad community coalition building was the key to this success. In the end, Northern and Southern sentiments have very little to do with how city and state governments make decisions about how to treat our most vulnerable populations. If anything, recent environmental justice organizing shows us that it is much more often the speculative nature of land prices and development. Luckily, and with much thanks to their biographers, we also have a long tradition of strong, committed community actors ready to organize and mobilize their friends, families, and neighbors toward action. We should ask ourselves how those of us privileged enough to live in communities safe from this type of environmental racism can support the work done by those relegated to such areas. For Louisville, the challenge is to take an honest look at its West End, and where the city places its unwanted environmental hazards. Once we acknowledge this tradition we’ll have to begin to ask ourselves some difficult questions about clean energy transition, and our consumption practices. How can we create a just environment for the residents of the West End? How can we address the pain and suffering they’ve already experienced? Finally, how can we use Rubbertown as a project toward creating a compassionate city in more than just name? Great work Drew. Hope all is well with you. The cancer figures you posted really don’t show a major difference between that area and the rest of Louisville. It’s higher in three categories and lower in the other two which is far from significant. In addition the residents that now live in that area that are complaining moved to the area well after the plants were operational, most of them were built during World War II. Also, all of the plants emit far less today than they did in the past and it is being further reduced every year. The activists that are complaining the loudest don’t even live in that area and they are just trying to make a name for themselves! 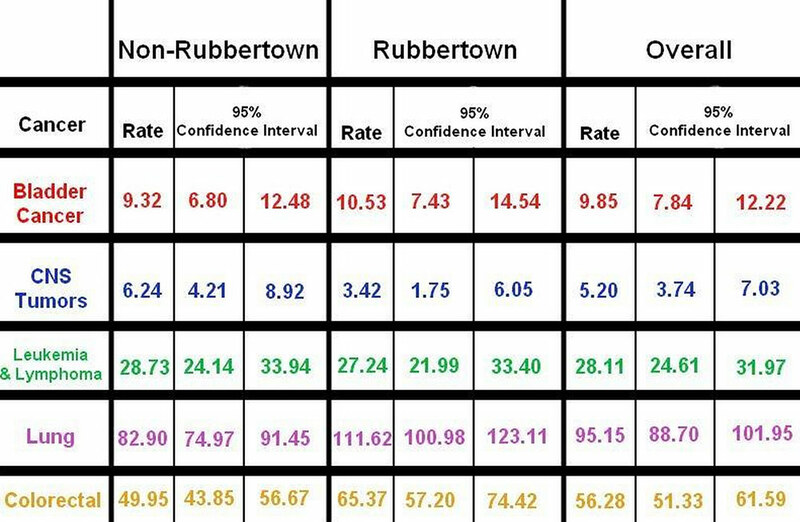 If Louisville truly wants to show that it’s compassionate there are lots of other things that would show that much more than making changes in the Rubbertown area.